Had this one done in a 20x10 in image size for my show in Sept. I added the camo mat and kind of like that. Incredible shot! Bravo! Me personally, not sure about the image behind the frame....find it distracting, but the shot is PURE GOLD! Bravo! That is a combination of three photos for a digital art print. Been toying with the idea since I saw a photographer friend has some at a show and they were selling well. 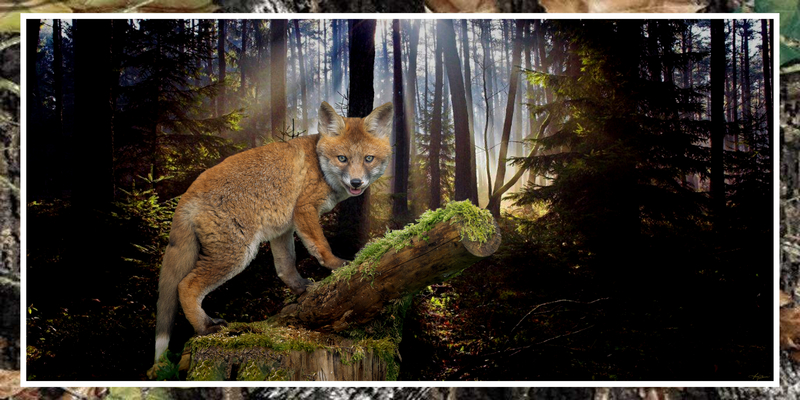 The lighting effects were added last to accent the fox. I wasn't intending to post on this, but I wondered if you're aware that a 6k x 3k version is available for viewers to download?